Surgeons in the U.S. who specialize in cosmetic surgery report in a new survey that there is increasing demand for cosmetic procedures, like Botox and fillers, among 30-and-under patients. Cosmetic surgeon Dr. Richard Buckley talks about the trend and specific procedures that not only address early aging but also prevent signs of aging. Untouched selfies reveal what many in the under-30 crowd don’t want to see. Lines, wrinkles – even age spots and sagging skin – begin to take hold. And just like they use photo editing options to cover up the imperfections in the pictures, the 30-and-under crowd is turning to cosmetic procedures from Botox to fillers and more to preserve precious youth. The trend is so prominent, it has earned designation as “prejuvenation,” according to American Academy of Facial Plastic and Reconstructive Surgery (AAFPRS) news recently released. Millennials, like their older counterparts, want to preserve their looks. But it’s more about prejuvenation – preventing the things that years down the road will make them look older. The wave of noninvasive beauty treatments has opened the door to younger generations taking baby steps toward being freer of wrinkles, laugh and forehead lines, crow’s feet, sun-damaged skin and more. Celebrities who are open about what they do to help preserve their looks are helping to fuel young people’s desires and the increase in the demand for cosmetic procedures, according to AAFPRS. There is evidence, for example, that injections of neuromodulators, such as Botox, Dysport or Xeomin, can do more than treat existing wrinkles, they can in fact prevent wrinkles and lines that form from years of making expressions. 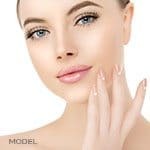 And popular hyaluronic acid fillers, such as Restylane and Juvederm, have been shown to not only volumize areas, such as the lips and cheeks, but also result in an increase in collagen production in the area treated. 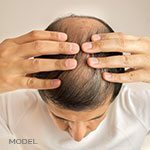 “There are exciting new options in the war against aging. One is ThermiRase, which is becoming a popular choice among Millennials who would rather not use Botox and other neuromodulators. ThermiRase uses radiofrequency energy to target unwanted muscle activity by ablating the nerves that cause wrinkling. ThermiRase treatment has no downtime and, though more expensive than Botox, results last from one to one and a half years, which is longer than results from neuromodulator injections,” Dr. Buckley says. The key for success is to find cosmetic physicians who are experienced and have a reputation for natural looking results, according to Dr. Buckley. “Just like in the 40-and older crowd, a seemingly simple procedure, such as Botox or fillers, can turn into a nightmare in the wrong hands. Look for a physician’s credentials, experience and reputation in the community,” he says.